Dr. Lee Goozdich has been in practice since 1987. National Pike Chiropractic is conveniently located on Route 40, the National Pike, and we’re a family practice that treats everyone, from infants to those in their 90s. Anyone is welcome at our chiropractic care center, particularly those who may not have gotten the results they wanted from other approaches. We’re happy to offer you a different avenue that utilizes a combination of chiropractic care and rehabilitation at our state-of-the-art, 5500 square foot facility. Kids and adults alike can see incredible benefits from chiropractic care. We’ve helped babies and children with reflux issues, ear infections and more when medications failed and more invasive options were suggested. Many of our patients have been to other doctors and chiropractors and were still struggling with health problems. We’re pleased with the trust our community places in us for their health care, and do our utmost to make sure that you achieve your desired outcomes. 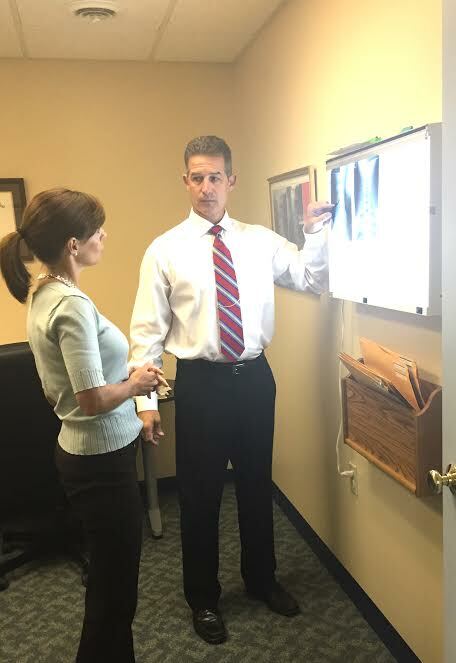 Dr. Goozdich has working relationships with many area medical doctors, surgeons and pain management specialists. If you have a more complex case, we’re happy to work with any additional practitioners to give you the greatest possible benefit from our care. We also refer out patients to other health care professionals when necessary. We’re the only chiropractic office in the area with on-site X-ray facilities, which allows for a deeper understanding of your condition. Contact us today to schedule your appointment!